“I’ve bought a lot of very good stud bulls in my time but I haven’t had any that have made an impact like Ascot has. The Steers in the 200 to 300 kg class and second for heifers in the 300 to 360 class. The bulls were Ascot Angus. Thanks to Jim and Jackie Wedge for a magnificent job. “We would like to commend you on the exceptional quality of cattle that you put forward to your clients. Pointon Pastoral Company has purchased around 30 Charolais Bulls from Ascot Cattle Co. over the past few years. We are extremely happy with fertility and temperament of all the bulls. They have taken the transition from the Darling Downs to the South Burnett extremely well. Our cattle are treated on a strict routine to keep ticks at a minimal and these bulls have taken this in there stride. They are mustered regularly with dogs, horses and motor bikes but nothing seems to worry them. We Purchased several young bulls around 14 to 16 months old and put them straight out to work, and are particularly impressed with the calving rate yet they have spelled well and matured into high quality bulls. Several bulls that we had purchased were DNA tested Homozygous 100% polled which has made a dramatic difference to our progeny and to the cost of our labour at branding time and also to the wellbeing of our calves without having to put them through the stress of dehorning. Through buying Ascot Charolais bulls we have built a relationship with our buyers that certainly influences the way that we now trade in cattle. 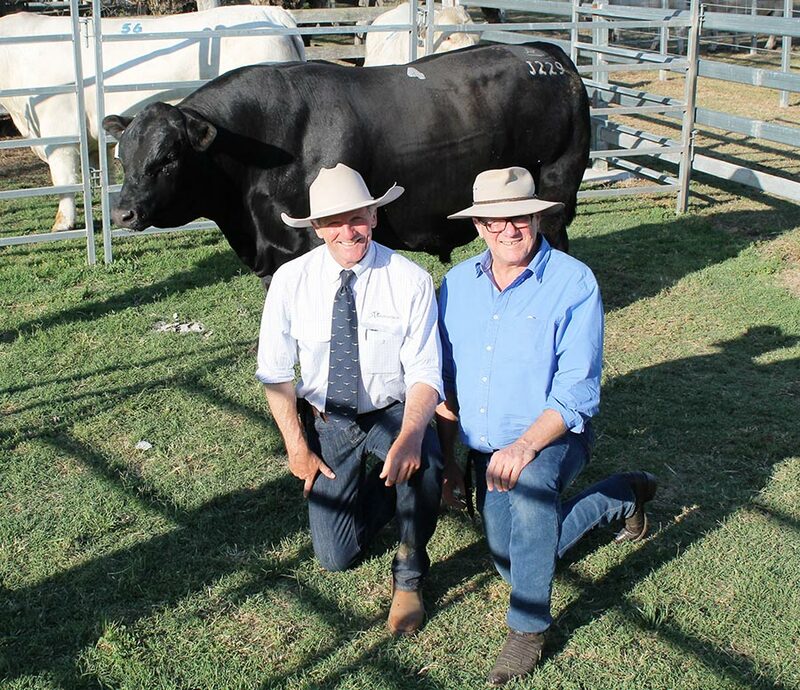 “My association with principals Jim & Jackie of North Toolburra Angus & Charolais Stud has extended over a number of years. With their ability to maintain a renowned stud these goals have been achieved through knowledge honesty, & integrity with their primary focus on excellent stud cattle production ensuring client’s needs are always met the very core of their stud cattle operation is undertaking best practice breeding decisions through a complex selection process their breeding herd promotes & delivers quality cattle focusing on fertility, durability, structure, & temperament. It is evident on open days & at the annual bull sale when the cattle are showcased that Jim & Jackie’s passion & sound knowledge has enabled the very best in production thus ensuring the efficiency & profitability of the industry continues. I wish Jim & Jackie the very best as they continue to place the stud stock industry in a better position to face the years ahead. Ascot bulls are bred for a purpose, that is to make you the producers enterprise more profitable. These bulls are impeccably bred, are functional and extremely fertile. The bulls are backed by great sets of figures and raw data but most importantly their real bulls for real cattleman that are suited for all areas. you wont be disappointed. Purchased from the inaugral sale in 2012. I was impressed by the extra growth & doability they displayed. These bulls work and are very fertile, being used as yearlings i was highly surprised by the results i achieved.